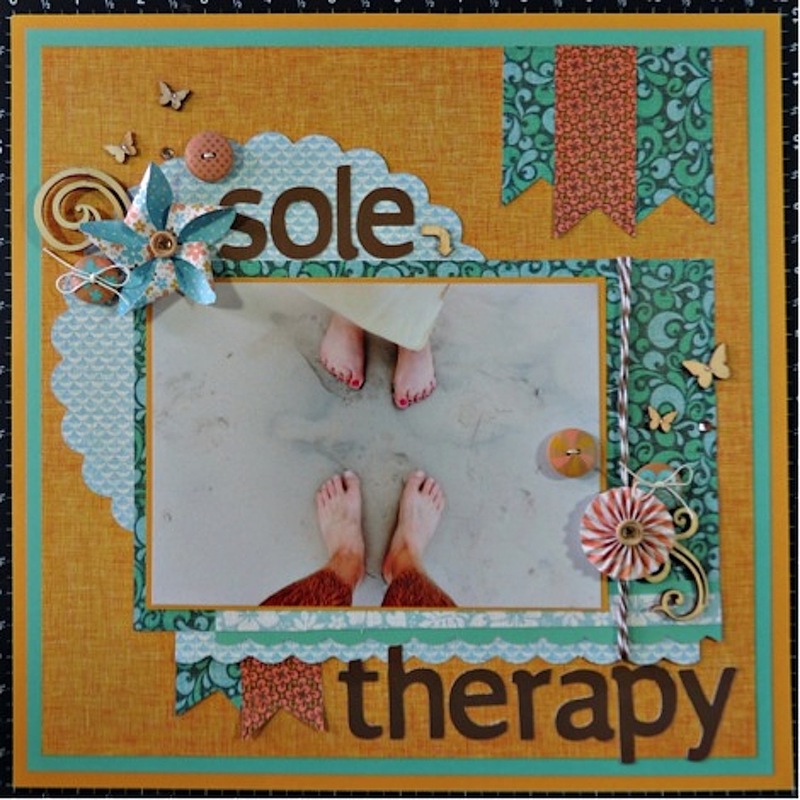 Thanks to our friend Senior Director Brenda Rose for contributing today’s post! It was several years ago that I realized this whole paper and ink thing I love so much was more than just a hobby. It truly is my passion, and I’m so excited to share it with you today! I want to share some examples of pages I’ve made celebrating people that are important in my life. When you see this photo, you’ll understand why I immediately wanted to run to my craft room to create this page for my great niece’s memory book. This little girl’s face fills my heart with so much joy! I gave this page to her mommy and daddy for Christmas. The stamp set I used (B1470 Love Ya Silly) captures my feelings because I really COULD squish her with hugs! 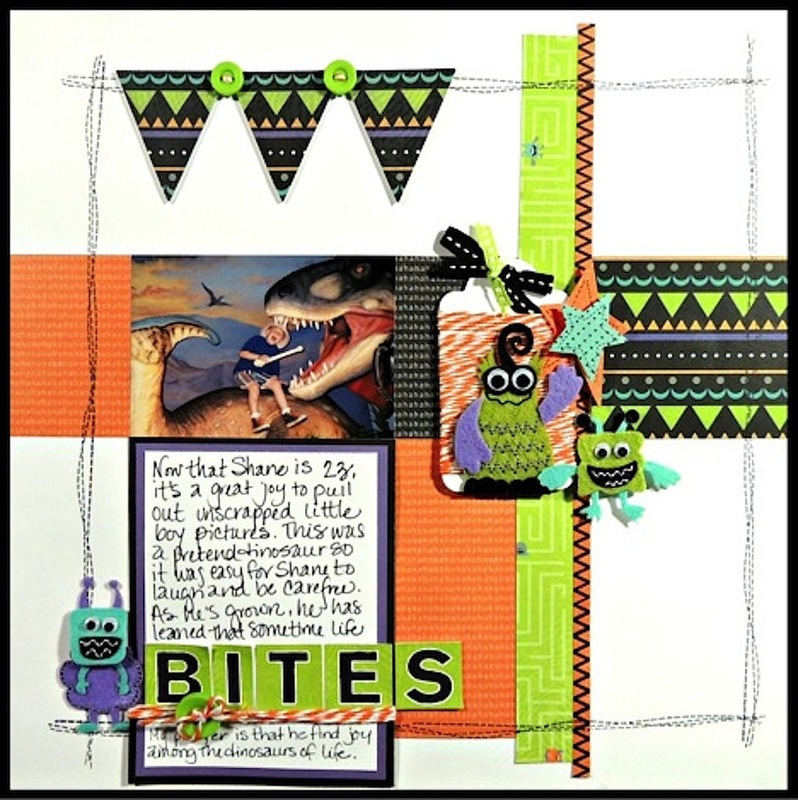 I love the mixture of monsters, colors, and all things girly. It was definitely fun to make this page! My friends will tell you that I am never in a hurry while I’m creating. I invest this time because when someone sees the finished product, what I really want them to see is my heart. I don’t scrapbook my photos chronologically, so it’s a real treat when I come across one of my son’s “little boy” photos to scrap. The journaling on this page reads, “Now that Shane is 23, it’s a great joy to pull out unscrapped little boy pictures. This was a pretend dinosaur so it was easy for Shane to laugh and be carefree. As he’s grown, he has learned that sometimes life BITES. My prayer is that he find joy among the dinosaurs of life.” I’m a big believer in scrapping the good and the bad, but I’m also a big believer that creating with paper brings love, laughter, and hope. That’s the kind of feeling I wanted to share in this fun—but still honest—page. I think handwriting is so important for the feel of a scrapbook. I recently sent a card to my son and he said my handwriting has changed over the years. He didn’t say much else, but I was overjoyed knowing that how I put ink to paper does matter. Even though I don’t have the best handwriting, it’s my handwriting and that’s what matters. This summer, my husband and I are celebrating our twenty-fifth wedding anniversary. I so enjoy making pages about our life together. One of our favorite things to do is to be anywhere near water with our bare feet, and I wanted to document this. I know that in our golden years we will love looking back on this memory from a beach in Grenada. The title of the page says it all. 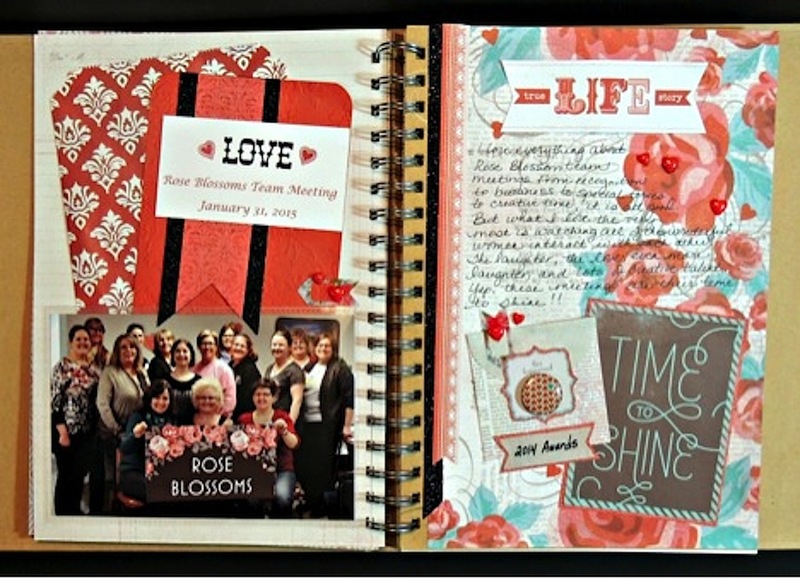 Scrapbooking with Close To My Heart is so much more than paper and ink. Friends all over the world are willing to share ideas and techniques. How grateful I am for this camaraderie! I know that if I’ve lost my creative mojo or can’t seem to get something right, I can count on one of my friends to inspire me. Papercrafters truly have a bond like no other! What’s really fun is the way we celebrate each other. I’m blessed to lead a wonderful team of women in their Close To My Heart businesses and creative journey. We are recording our team experiences in a My Crush™ book this year, and I thought I’d share a couple of pages from our recent team meeting. I could show you loads more examples. What I really want you to see, though, is that scrapbooking is not about getting numerous pages done in one night, or even scrapping every photo. It’s about sharing you, your heart, and the love you have for the people in your photos. It’s an act of love.